We’re committed to providing high-quality, convenient, and affordable care that puts patients first. Together with our payer partners, we ensure patients have access to the care they need when they need it. 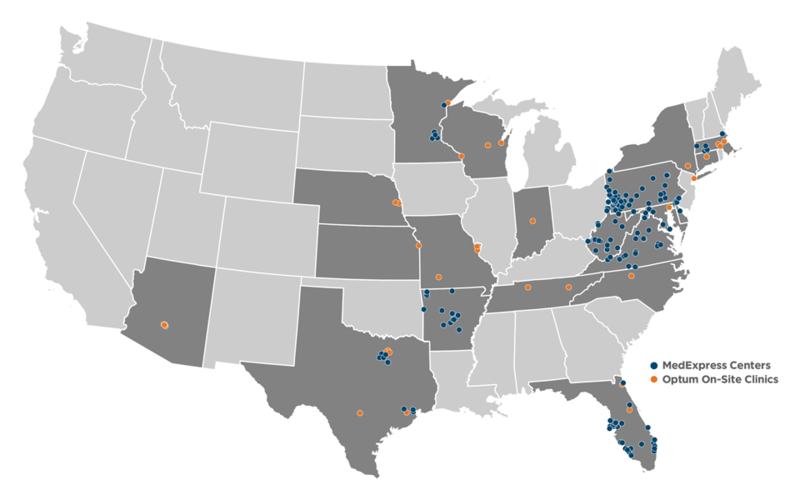 We have more than 300 locations in 27 states, and growing. We offer a culture of customer service and we coordinate care with local healthcare providers. We provide a full-service offering, including urgent care, employer health services, and basic wellness and prevention. For more information, please contact Charles Morse, Vice President of Payer Relations. Exceeding patient expectations - every day. Illness, injuries, basic wellness and more.